We often need a face for inspiration. For my first story, Lover in Waiting, I had a hazy image of my hero. 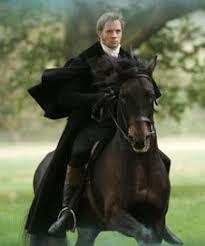 Watching the 2007 Tv adaptation of Persuasion solidified the remaining details. How perfect is Rupert? “Insulting people works for me. Perhaps you could try that?” The cold-hearted marquess. I somehow destroyed the motherboard of my laptop overnight… That’s bad. That is the worst news a laptop user can hear. Last night, I had fun. I treated myself to an hour of bejewelled. I did well. I scored 19,600 odd points – my highest yet. Then I went to bed. When I got up this morning the computer was dead! Well, not quite dead, it did beep loudly at me but it did nothing else. Can you imagine my panic? Just this last week I put finishing touches on three stories, and typed ‘the end’ on a first draft. A great week right. Well, not quite. I hadn’t backed up my files this week. I’m lucky my son (16) is learning about building and repairing computers. With the help of our local computer tech, they’ve helped me access my old data but it’s going to take a while to get everything back the way I want it. I have my writing files (yay) but there are plenty of other things I have yet to transfer yet. iTunes is going to be a pain. I may not get much writing done this week. A reminder: Back up your data now!